I noticed a new piece of "art" at Furman Park last weekend. 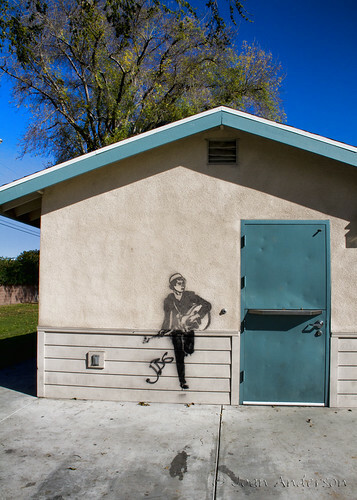 This guy holding a guitar is stencil-painted on the side of the snack shack located on the back side of the park by the ball fields. I think that graffiti can be intriguing and I often look for new signs of it around town and whenever I travel. I'm not sure what this one means or if it is a 'sanctioned' piece of art....but it is interesting. 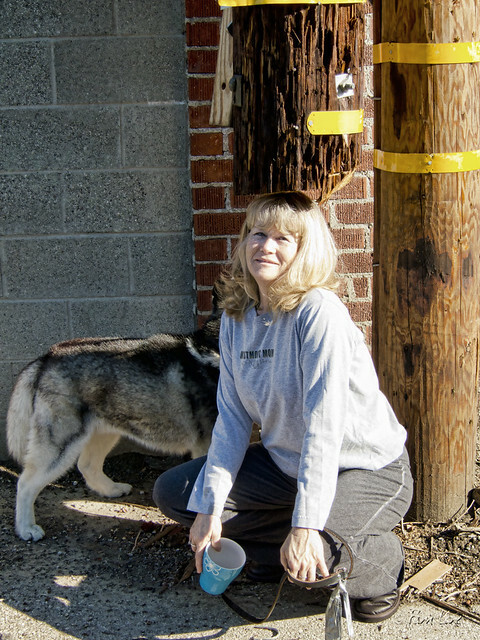 This utility pole is missing the bottom three feet or so. 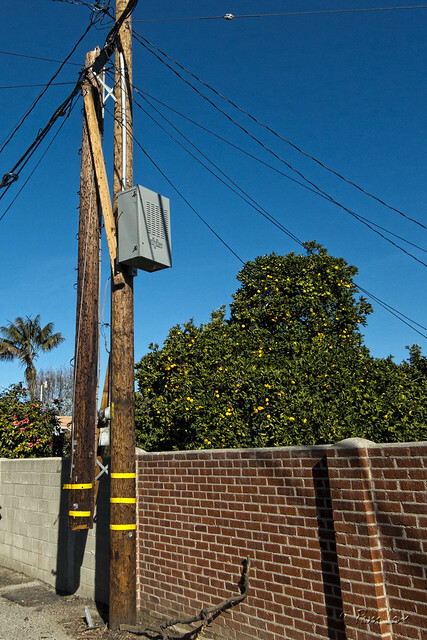 It looks like it's just hanging in mid-air, but it's attached to the pole next to it by a couple of 2x4 beams. 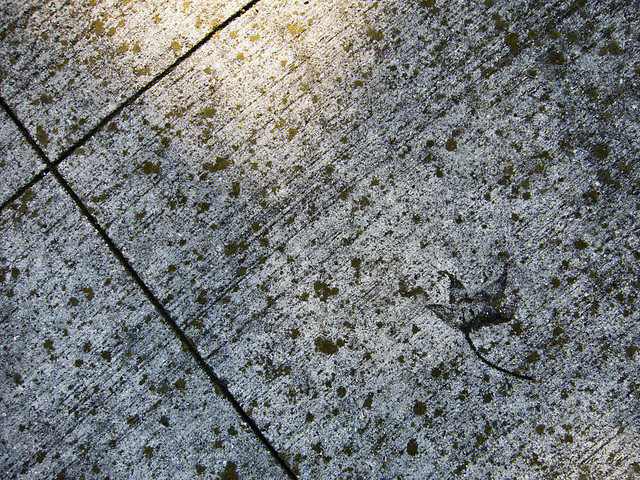 On my morning walk a couple of days ago, I noticed this permanent imprint of a maple leaf in the sidewalk. Not exactly a post about life in Downey. 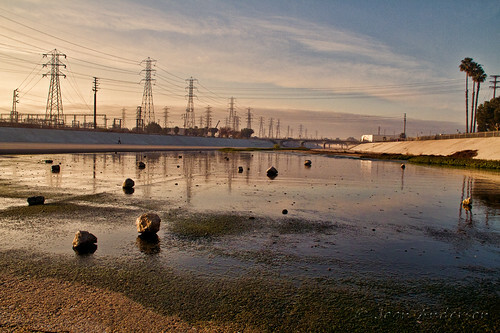 But it was on a walk in Downey, and I thought it was pretty. 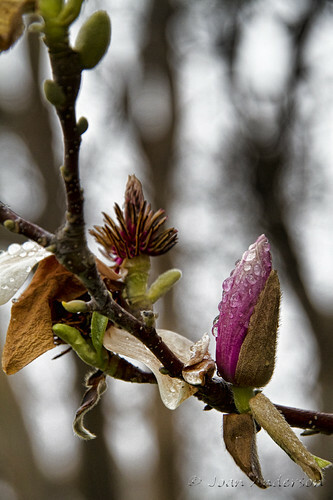 This morning was beautiful and Furman Park was full of activity. 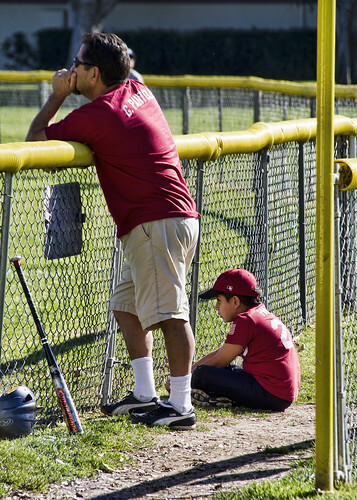 I assume this was a father and son watching a game of soft ball. They were a cute sight, totally engrossed in the action in front of them. 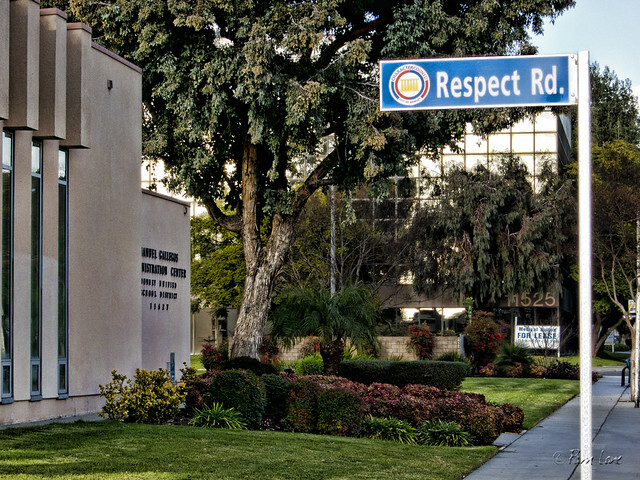 Six streets in Downey have been renamed for the six traits of the Character Counts initiative: trustworthiness, respect, responsibility, fairness, caring, and citizenship. Some thought has been put into the locations of these street names. 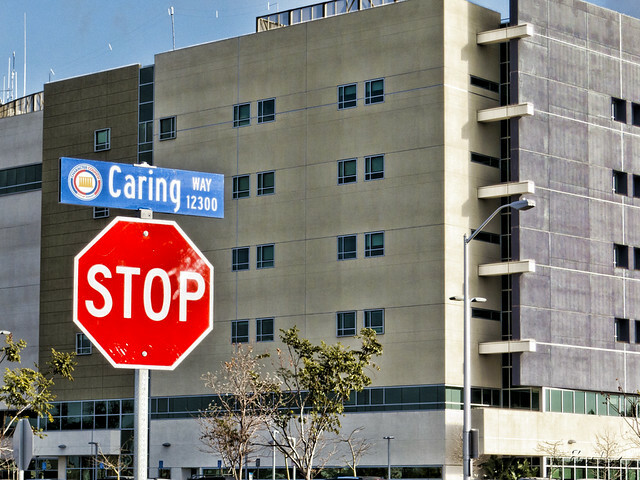 Caring Way is located next to Kaiser Permanente Hospital and Respect Road is next to the administrative center for the Downey Unified School District. 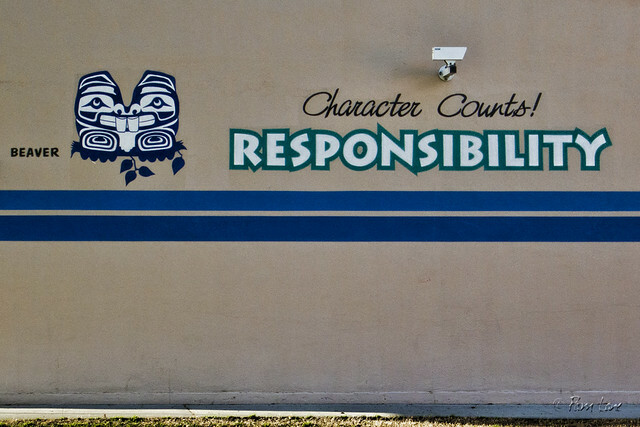 These road signs are in addition to the traits that have appeared on the walls of Griffiths Middle School for quite a few years now. Walking down the aisles of our local Fresh and Easy grocery store, I am overwhelmed with happiness. 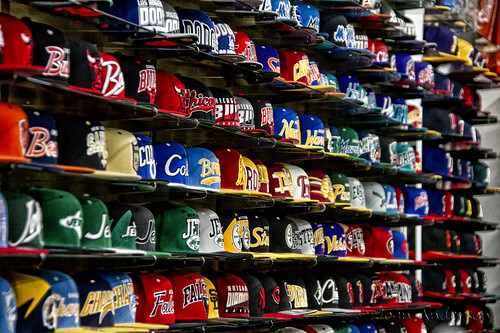 I wish I could buy everything in the store. Close enough to smell the brioche, I was excited to find a little French bakery that was so near. I want to be reminded of Paris in these little ways more often. Tonight I had a hard time concentrating on the road as I was driving home because the sunset was so beautiful and full of colors. Unfortunately, that meant I drove kind of like a crazy person to get home in time to try and capture it. By the time I grabbed my camera and got back outside, there was very little light. I took this picture quickly and truth be told it is not crisp. 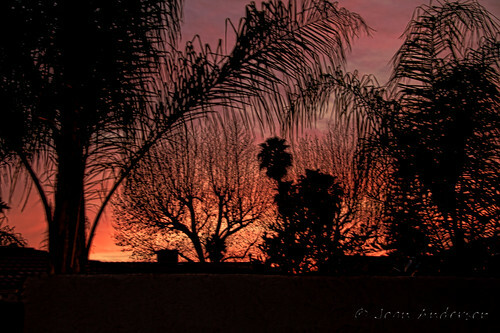 But, it is still pretty with the silhouettes of the trees backlit with the colors of the setting sun...a beautiful end of day. 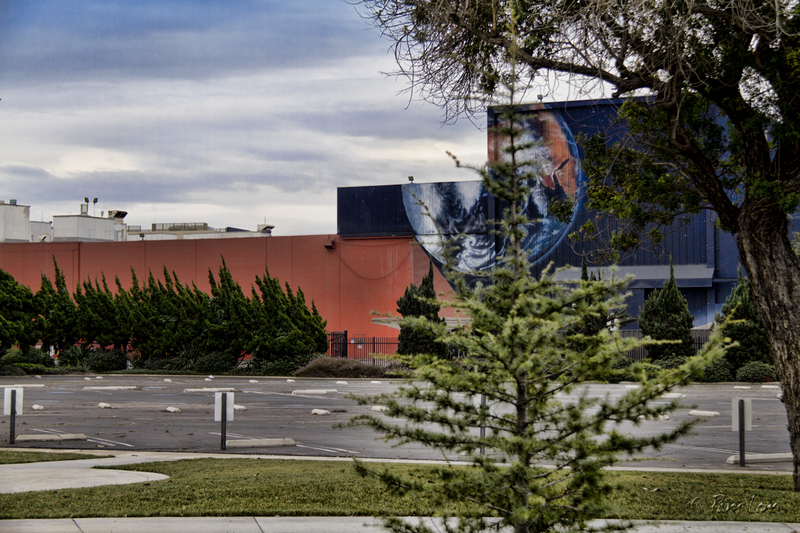 Last week, BP-12 was moved from storage in the Downey Studios buildings to its permanent display site in front of the Columbia Memorial Space Center. BP-12 is the oldest known Apollo to fly. 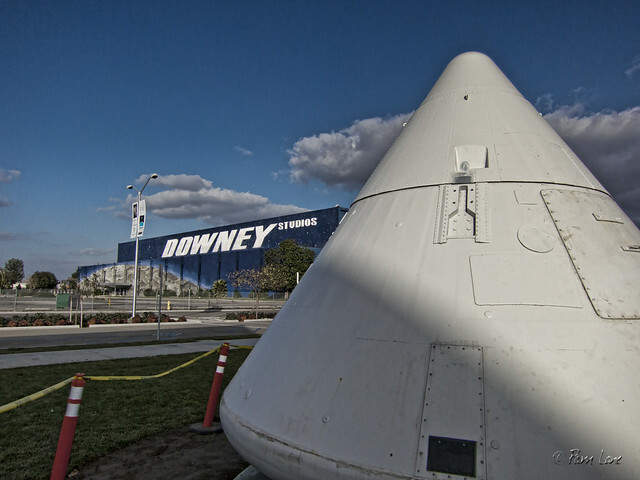 Like BP-19, which was moved last year, BP-12 was constructed in Downey by North American Aviation (in the buildings now occupied by Downey Studios) and was used in many parachute drop tests. According to a NASA website, "at White Sands, New Mexico, on the morning of 13 May 1964, a Little Joe II launch vehicle rammed Boilerplate (BP) 12 to an altitude of 4,700 meters, to see if the launch escape system could propel the spacecraft away from the booster after it had reached transonic speed." 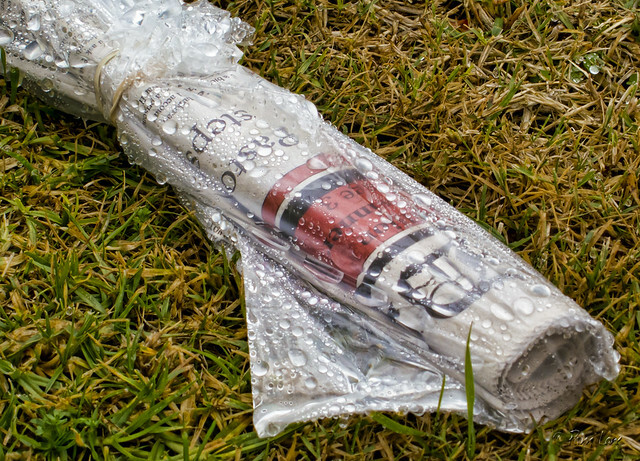 It rained all last night. It was a soothing sound outside my window, but I was happy when it stopped because it always makes for such a nice walk the morning after it has rained. 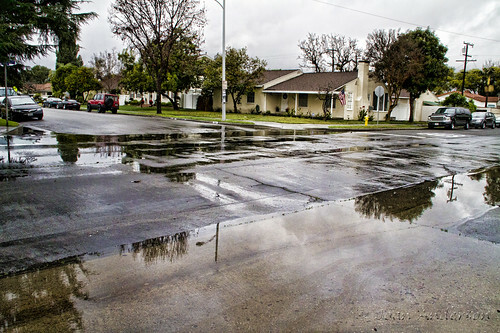 The streets were wet and the remaining puddles reflected the trees and houses nearby. 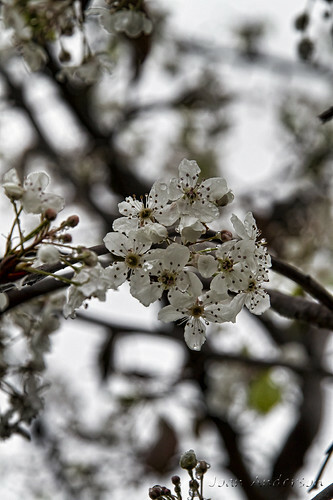 I find myself looking for the raindrops left on the flowers. I am always hoping to find the ones that show miniature reflections in them as well. I don't think I caught any in today's photos, I will just have to keep trying. So one day, I'm driving around Downey, and I see this cat in the middle of the road. Well, obviously I don't want to hit it so I swerve and turn into this small dead end street. It is too narrow to turn around immediately so I drive past a few houses to the end. A bird swoops right in front of my car and scares me into jolting to a halt. Looking up at the bird I see him and his friends enjoying a sunny January morning in an olive tree just outside a house at the end of the road. The front of the house in shaded behind trees and its own awning so it's hard for me to notice the spectacular front door. I have to be honest. I felt a little creepy taking out my camera and aiming it at someone's front door. I took pictures of the tree first, quickly snapped a few shots of the threshold then jumped in my car and got out of there. I think I've inherited Joan's obsession for old and interesting doors. If I haven't said it enough already, I really wish we had more nightlife in Downey. I was in Santa Monica yesterday and ate at this sidewalk cafe. 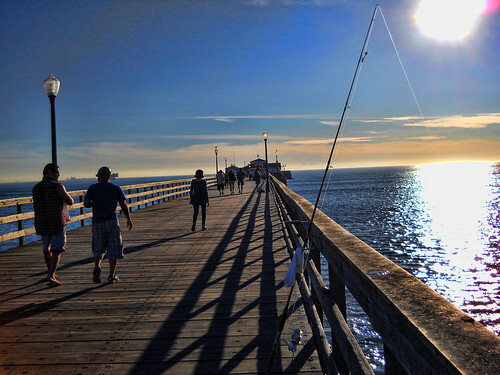 Santa Monica is a beach town about 30 miles away, on the west side of Los Angeles. Of course, with traffic, that means at least an hour drive. I wish we had more of this more in Downey. Of course, I'd definitely need some standing heaters. 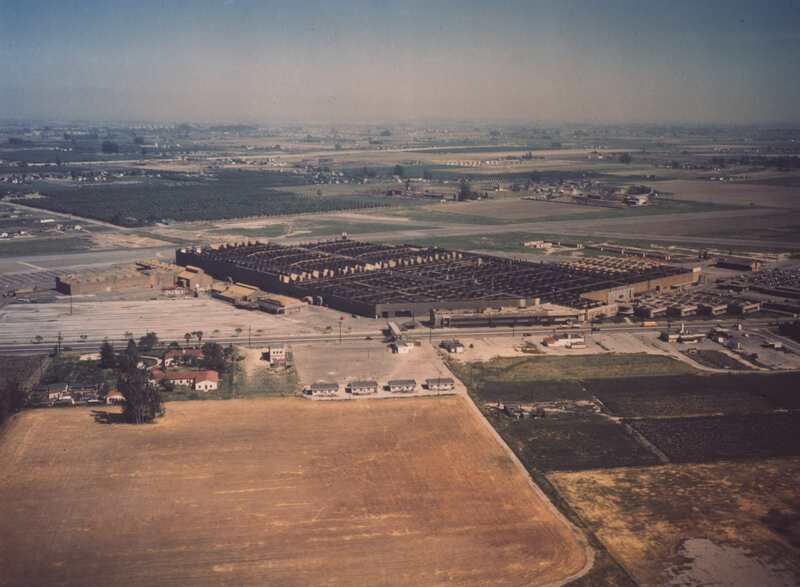 Yesterday's post included an aerial photo that shows how the buildings next to the current Downey Landing were used by Consolidated Vultee Aircraft Corporation in the '40s. 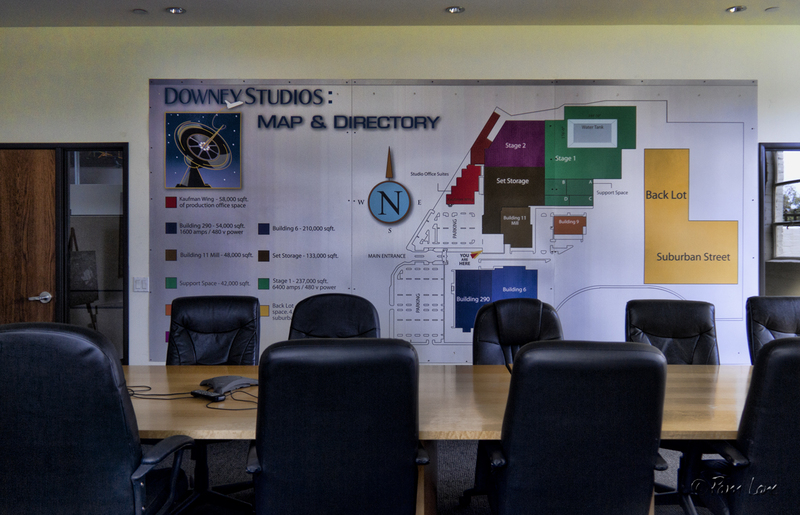 The white board above shows how the buildings have been reused for movie-making by Downey Studios. Aviation has played a part in Downey's history ever since 1929, when a section of ranch land was converted into an airport and aircraft manufacturing facility. In 1943, Consolidated Vultee Aircraft Corporation was formed with the merger of Consolidated Aircraft and Vultee Aircraft corporations. 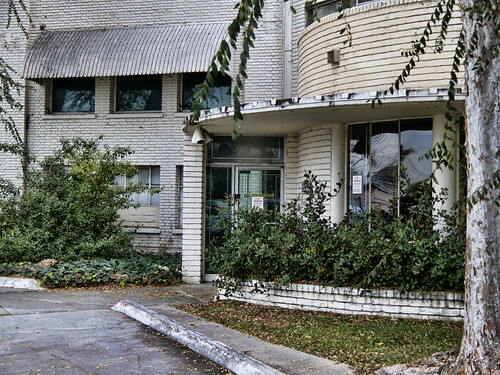 Currently the home of Downey Studios, the city is proposing to redevelop the site into a mixed-use development called the Tierra Luna Marketplace. (There's a lot of controversy over this, which I won't go into here.) 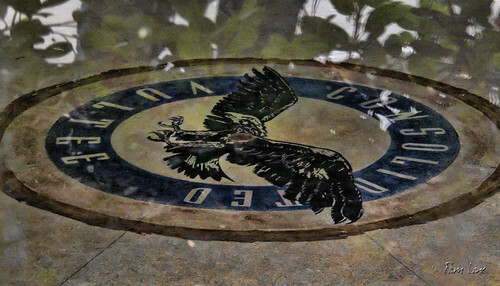 The building to the right is the old administration building for Vultee Consolidated, as can be seen by the emblem embedded into the floor of the rotunda. If you click on the photo below and view one of the larger formats of the photo, you'll see a clear shot of the rotunda in the center right of the picture. Taxation with representation ain't so hot either. Driving down Firestone Blvd. this weekend, I was reminded that once again tax season is upon us. 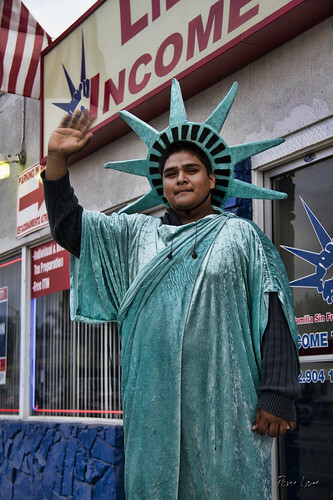 There were guys dressed up as the Statue of Liberty on each side of the street, waving to passing drivers and pointing us to the Liberty Income Tax office. 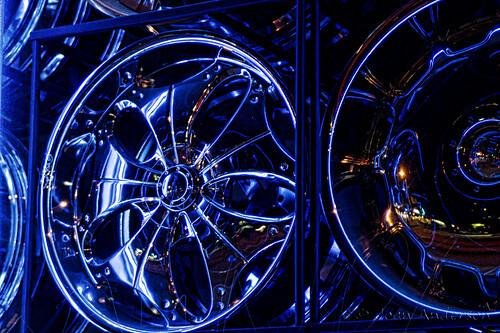 On Firestone there is an auto body shop whose front window is filled with all kinds of rims. I like the patterns of circles within squares. And, of course, the lighting at night just adds to the interest. It always amazes me the kind of things I notice when I walk instead of drive around Downey. Tossed Christmas trees, natural ornaments... But even walking, I rarely think to look straight up. 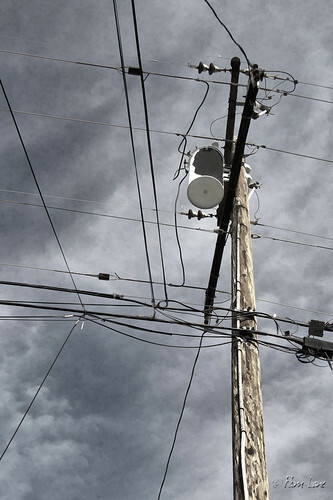 The geometric patterns made by all of these power lines makes a kind of beauty, don't you think? Okay, so you can't check out a book at midnight at the library. But the lights are really pretty down town at night. I love the lights at night. It's what draws me to a business whether it is open or not. This is another of the downtown Downey businesses by night. It looks nostalgic and fun at the same time. This business is not new. 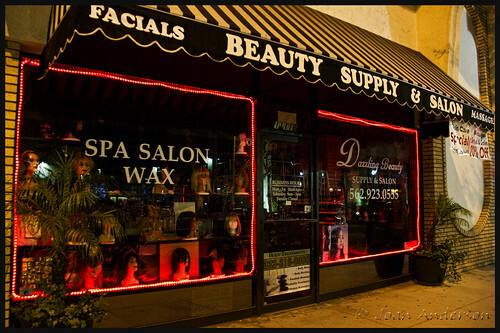 It has been in Downey for over 30 years... making people look and feel good, one person at a time. 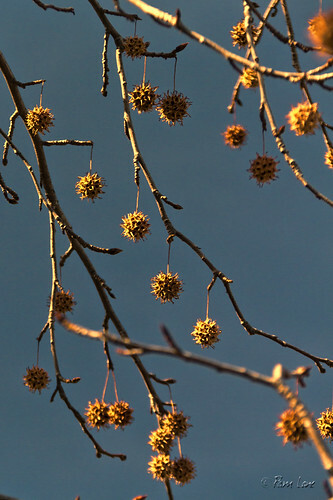 I found it very satisfying yesterday, after seeing bare Christmas trees ready for trash pickup, to see that nature provides us with her own version of beautiful ornamented trees. You know Christmas is really over and done with when you start finding the curbs and alleys lined with dead and forsaken trees. 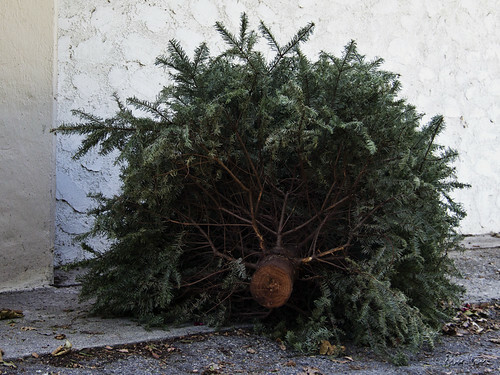 For the three weeks following Christmas, the city trash contractor picks up Christmas trees and takes them to a landfill where they are ground up for composting. According to the city guidelines, trees over 4 feet tall are supposed to be cut in half, but I've never seen anyone (myself included) actually do that. There's a new store in town! Owned by Vivian and Ivan Ramirez, the Locker Room has a great selection of officially licensed merchandise. No matter who you are rooting for, or what gear you need, the Locker Room probably has it for you. 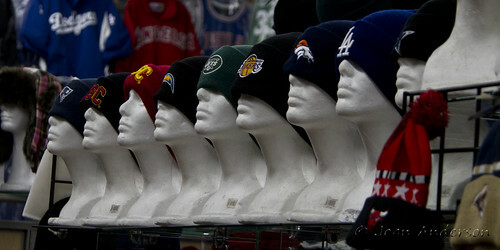 I saw hats, T-shirts, license plates, kid's outfits, jerseys and much more. It is nice to see fun, new businesses opening in downtown Downey. 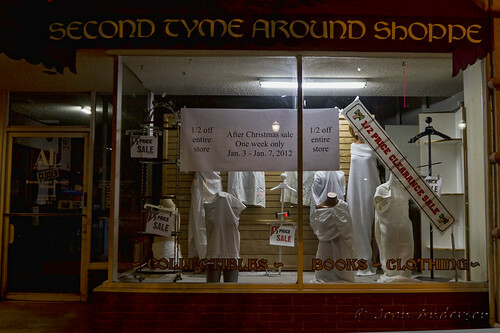 The second-hand store, "Second Tyme Around," is having a "White Sale." 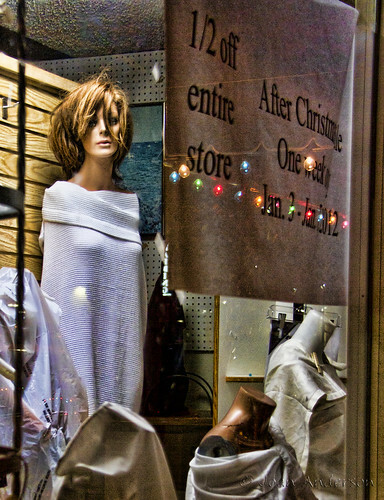 I thought their window merchandising was a fun illustration for their sale. According to Wikipedia, in 1878, John Wanamaker of Philadelphia department store fame decreed January to be the time for a white sale. 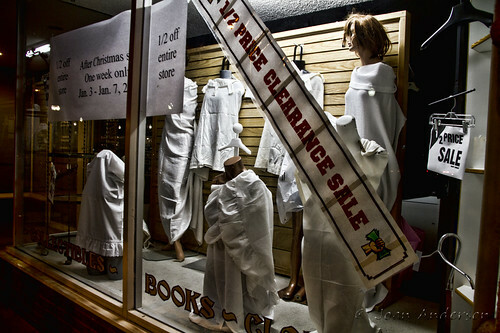 Bed linens, which were available in white only, were sold at a discount. It is believed he might have done so to keep linen makers in business during a slow time of year. What a great day to start off the new year! 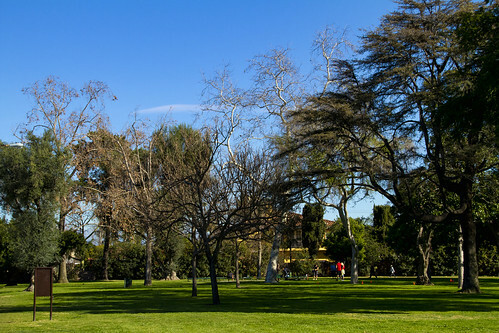 It was a gorgeous day today in Southern California. Everyone who wasn't working was, I'm sure, at the beach. It was almost as crowded as in the summer and for good reason. It was warm with large swells to surf, big fish to catch and ice cream bars to be eaten. If this is global warming, bring it on. It's almost time to vote... We have various places in Downey where we can vote and the only time I have seen the inside of this building is when I voted a few years ago. What do you do with all the new stuff your family got for Christmas? You can make room for it by holding a yard sale. For a $10 fee for the permit, you can sell personal goods for 2-3 consecutive days. 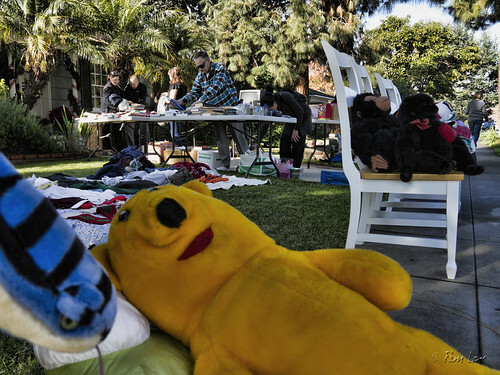 It turns out that the Friday and Saturday after Christmas, when a lot of people are still off work or school for the holidays, are great days for a yard sale. Jewelry and large items sell well. Sadly, Pooh bears and other stuffed creatures don't. 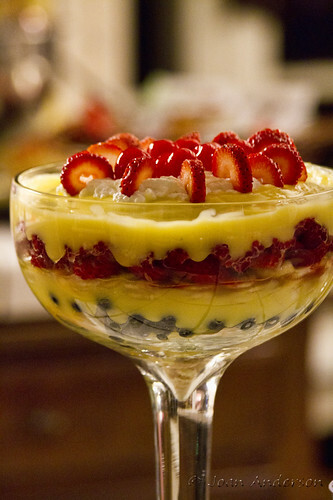 It was a "Friends" New Years for our group and one of the best parts was the trifle. Seriously, what's not to like? Of course, our trifle did not contain meat! 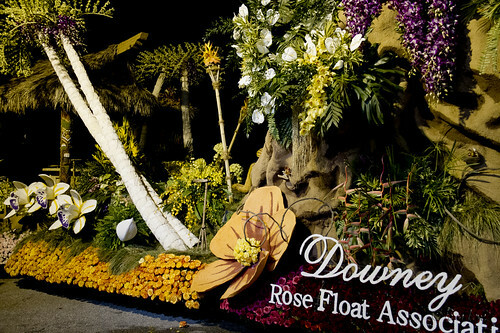 After months of work and days of last-minute decorating, Downey's entry in the 2012 Rose Parade is ready to roll. Lots of people were present to see the christening of the float before it set off on its journey to Pasadena. The float will take 5 to 6 hours to cover the 18 miles by surface streets. I saw just how slowly the float travels when I passed it on the road about an hour later on my way to pick up some dinner—and again about 45 minutes later as I got back home. It was just barely leaving the Downey city limits. 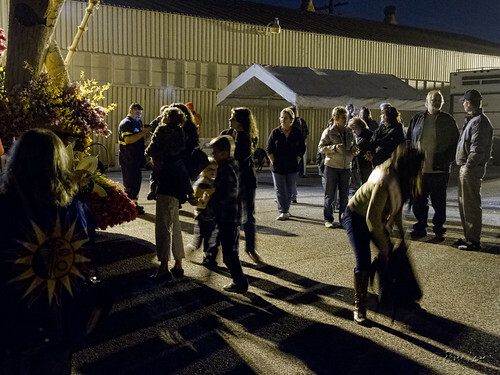 This year's Rose Parade is taking place on January 2 rather than on January 1. Apparently this is a long-standing tradition, ever since the first Rose Parade was held in 1893. The policy was put in place "to avoid frightening horses tethered outside local churches and thus interfering with worship services."